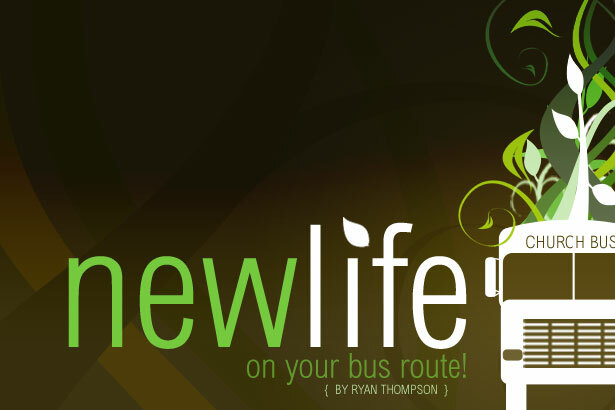 New Life on Your Bus Route! Is your bus route slumping or jumping in this summer of 2009? Have you seen an increase or a decline in the number of riders, visitors, salvations, baptisms, and other spiritual decisions on your route? Are you and your workers more excited than ever about the work God has called you to do, or do you find yourself discouraged and unmotivated? Bus routes, like nearly every other ministry of the church, go through cycles. There are times when it seems as though God is blessing in an unusual way and everything is “clicking.” Excitement is high, workers are zealous, and people are coming out of the woodwork to come to church. However, there are also times, for a variety of reasons, when these things begin to wane. These seasons of potential discouragement are a natural part of ministry that we must be aware of and ready to combat swiftly and effectively. Every route, every church and every ministry is constantly in need of new life! We must continually sharpen our focus and renew our passion to reach people or we will fall into the deadly pit of complacency. Lethargy and apathy will set in, and before we know it, God’s work in our midst will be a mere shadow of times past. Our Lord knew something about human nature when He sent His disciples out two by two (Mark 6). If you will recruit and train someone to work with you, you will quickly double your effectiveness. There is no quicker way to multiply your efforts than to multiply your co-laborers. I do not believe that we should choose between working hard and working smart. We should do both – work hard (individually) and work smart (enlist others to work with us). Are you trying to do everything yourself? Pray and ask God to give you wisdom as you seek to add additional workers to the ministry in which you are serving. As Thomas Edison said when asked why he had a team of twenty-one assistants, “If I could solve all the problems myself, I would.” We cannot do all the work that needs to be done by ourselves. We must recruit others to join this worthy work (II Timothy 2:2). If you want to see your route thrive rather than simply exist, you must constantly be enlisting new riders. In the past, I have challenged our bus workers to make it a goal to have a minimum of two visitors per week. This may not seem like much, but if you will do this, you will have at least 104 visitors per year. Many first-time visitors will be unsaved and will come to know Christ as Savior. In addition, they will have siblings, relatives, and friends that you can add to your prospect list. If you want to breathe new life into your route, sign up some new riders this week! Even the most faithful Christian servants can occasionally find themselves in a rut. If we are not careful, we can lose sight of the purpose for our work and begin to believe that we are not making a significant impact and are not needed in the work of the Lord. We must push the reset button and regain our focus on the work that God has given us to do! Remember what Christ has done for you, remind yourself of the eternal impact of one lost soul getting saved, and rededicate yourself anew and afresh to serve God with your whole heart. This renewed dedication will be manifested in a revived passion to reach people for Christ. If we want to make a real difference in our ministries, we must have a real love for the people that we are called to reach. It is not enough to implement a new method or program. We cannot substitute man-made ideas for a God-given love. We cannot be motivated by self-serving pride. We must be motivated by the love of Christ. Has your burden for the lost subsided? Have you found yourself growing cold and indifferent? If so, then you have undoubtedly seen a decline in your effectiveness for God. Ask God to break your heart once again and rekindle the embers of love in your heart. True compassion has the power to transform a person, a family, a bus route, and a church.